“Please come to my home and pray for my husband. He has not been able to get out of bed or work for two weeks,” the Zambian woman pleaded. Following her up the steep goat paths, we entered the simple mud-brick house where her husband hopelessly lay on a grain sack spread over the earthen floor. With the help of an interpreter, Jack led him in a prayer to commit his life to Christ. Praying now for healing, Bev sat in the open doorway with her harp, softly playing a simple improvised tune. Suddenly, Jack realized he was kneeling in a trail of African ants! Brushing the ants off his legs, he kept his focus. Held by the resonance of the harp and our voices lifted in prayer, a deep peace from the Holy Spirit surrounded us. We left shortly, although unaware of any change in the man’s condition. It was a good hike from the village to the location of our evening Crusade and showing of the “Jesus” film (dubbed in Tonga). The Zambian couple miraculously met us on the hillside. The husband said God had healed him shortly after we left, and we rejoiced together. This was Jack’s fondest miracle memory. We left many grateful hearts behind because of many of you who supported us with your love, prayers, and finances. During our 3 months of missions training, Bev kept the statistics for our 3 expeditions (14 students in all) to remote chiefdoms. We shared the Gospel message with over 3000 villagers, 523 accepted Christ as their savior, and saw 341 healings and deliverances. God is so good! 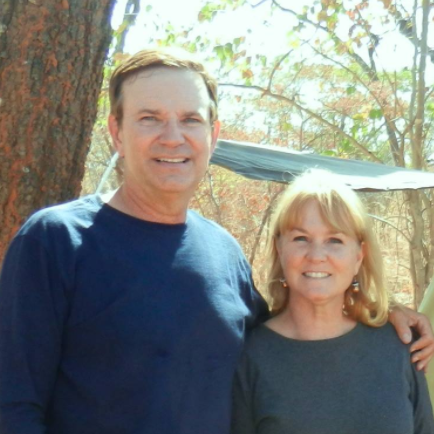 We have been accepted with Overland Missions and will return to Livingstone, Zambia in March/April of 2013 to continue the good work He has started in us in a chiefdom farther north – Sipatanyana. Veteran missionaries with 12 years experience will oversee our efforts. ROAD TRIP! Oct. 8-16, let us share our vision for Zambia and photos with you as we travel to Nashville, Dayton, and Cincinnati. Tampa friends, we’ll catch you for coffee when we return. Again, thanks for reaching the lost, forgotten, and geographically isolated with us. Posted on January 28, 2013 by fullersmission. This entry was posted in Afica, Harp, Newsletters and tagged adventure, africa, christ, Harp, Healing, human-rights, learning, Music, religion, School, Trip. Bookmark the permalink.